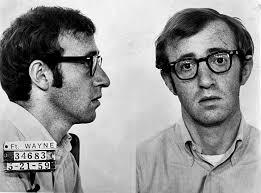 WOODY ALLEN AND THE POLITICS OF TOLERATION IN CHILD SEXUAL ABUSE CASES! In the light of Ronan Farrow's exposure of the allegations against Harry Weinstein, the Woody Allen Child Sexual Abuse scandal has again caught notice. Why is it that Harvey Weinstein faces such overall condemnation in the movie industry and yet Woody Allen has not? For instance, one reporter -- Molly Fitzpatrick of "Splinter News" -- investigated how actors have responded to Dylan Farrow's sexual abuse accusations against Woody Allen. Below are the names of actors she checked up on: Cate Blanchett, Alex Baldwin, Wallace Shawn, Diane Keaton, Louis CK, Scarlett Johansson, Marcia Gay Harden, Colin Firth, Jacki Weaver, Eileen Atkins, Mariel Hemingway, Emma Stone, Joaquin Phoenix, Parker Posey, Anna Camp, Miley Cyrus, Kristen Stewart, Blake Lively. Their responses have been neutral, indifferent, or a resounding "It's none of my business."